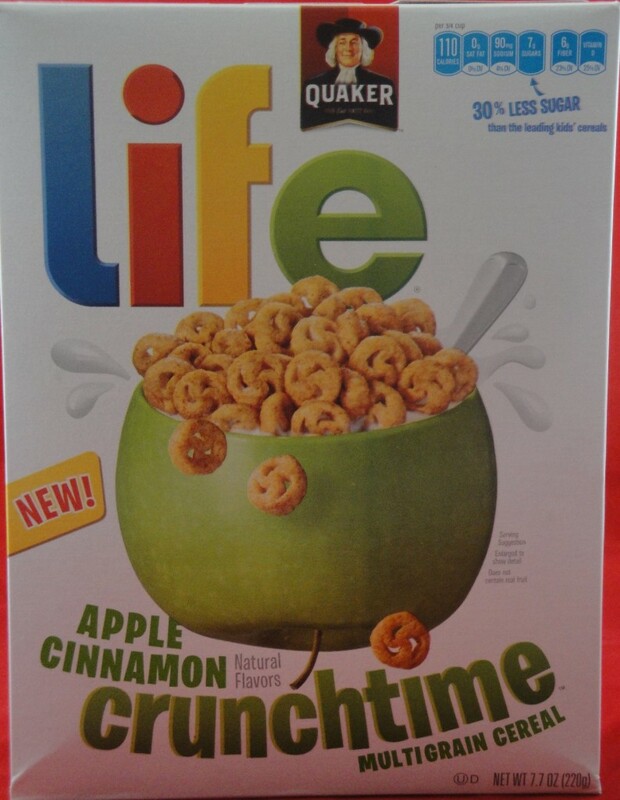 I’m a seasoned food professional and I got duped by this product.Life Apple Cinnamon Crunchtime is low in sugar (7 gm per 3/4 cup cereal), because it is sweetened with Reb A (a natural high potency sweetener from the Stevia plant). As I’ve said in earlier posts, Stevia is not a favorite ingredient of mine. Not until I tasted the product, did I realize that the sweetness was “different”. High potency sweeteners mimic sugar’s sweetness but do not taste the same. For me, stevia has a lingering licorice aftertaste and it is prominent in this cereal. My wish is to have food companies label it boldly on the front of the package, instead of making me search for the Reb A on the label. It’s difficult to see Reb A in the ingredient label and I don’t like being duped. The apple cinnamon flavor in this product is delicious, and the product as a whole reminds me of apple pie. My youngest daughter loves this cereal and I might buy it again for her. I like that this cereal is low in sugar, but don’t want her to get accustomed to the extremely sweet taste of high potency sweeteners. My older daughter tried the cereal and didn’t complain. She’s a strange bird, because she doesn’t like cereal. Don’t most kids like cereal? We’ve tried all different types and the only thing she tolerates is frosted cinnamon toast crunch. I’d rather make a omlette or pancakes for her than have her eat over sweetened cereal for breakfast. Nutritionally, I feel good about feeding my children Life Apple Cinnamon Crunchtime. There are 6 gm. of fiber per serving and it is loaded with vitamins. Perhaps if the stevia extract (Reb A) taste wasn’t so prominent, I might be a fan. I’d like to fix the sweetness balance of this cereal, but love the flavor. you are spot on with the aftertaste of stevia! It usually ruins food for me since the taste just lingers afterwards. sounds like a worthy cereal though! Kailey: yep, some products are definitely ruined by the taste of stevia. I was impressed by the use of stevia in Blue Diamond toffee flavor almonds and Sobe blueberry lifewater, though. I am so happy that I found your blog. I have been a big fan of this cereal, primarily for the low sugar. I agree that the aftertaste is there and I am so unhappy that I did not detect the obvious. Could you please recommend a low sugar cereal that has a similar appeal? 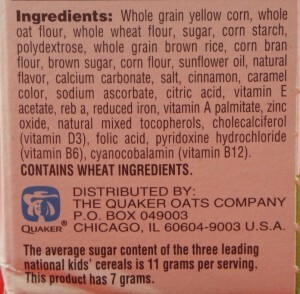 Does the new “Dora” Cereal (also low in sugar) have Stevia? Thank you so much for any help you can offer. I need to give my kids cereal as they do not care for meat and need the supplemental iron. Hi Katie: Thank you for your compliment. I agree that Apple Cinnamon Crunchtime is great nutritionally (low sugar) and have not see the Dora Cereal at the grocery store……..yet. I’ll look for it. 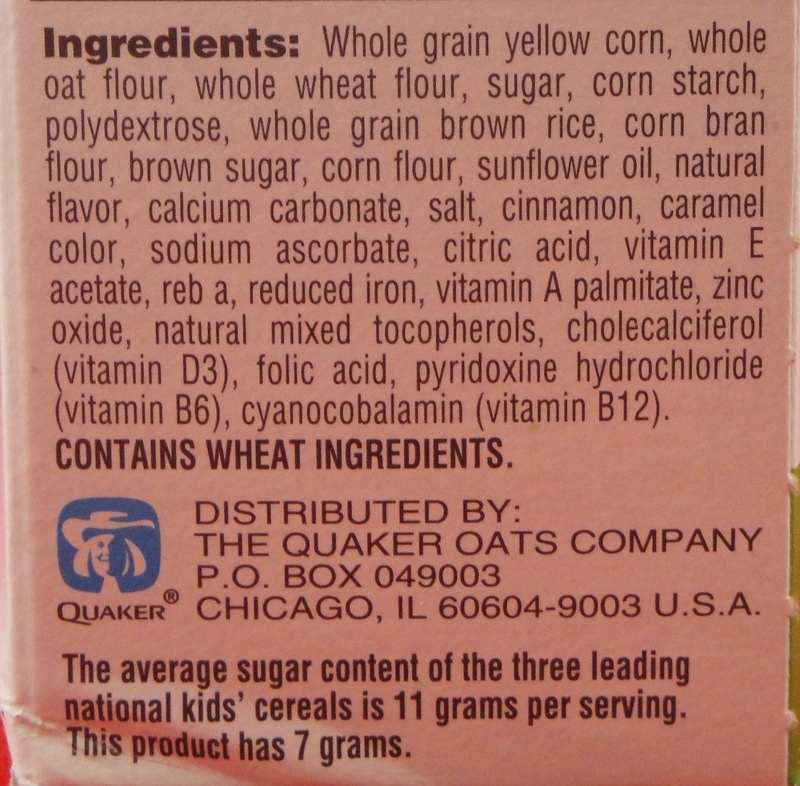 In college, my nutrition teacher highly recommended Cheerios, Shredded Wheat & Oatmeal as great breakfast options. Of course, children usually like the “sugar” versions of these cereals. As mom’s, this is our dilema.Foodeducate has impressive line-ups of different cereals:http://www.fooducate.com/app#page=product-search&term=cereal&pageNo=3.